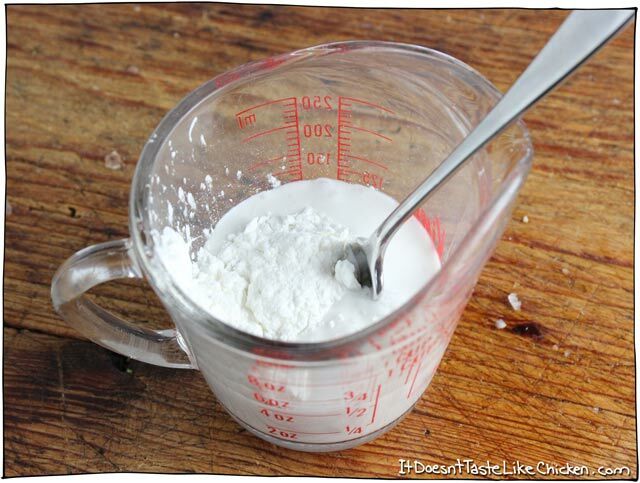 Coconut Mushroom Puffs - The Co.
To Make the Coconut Mixture: Start by making the coconut mushroom filling. 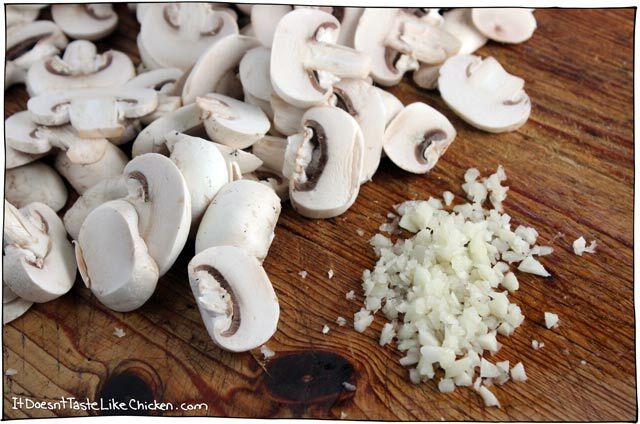 Slice the mushrooms and mince the garlic. Heat the coconut oil in a pan over medium high heat. 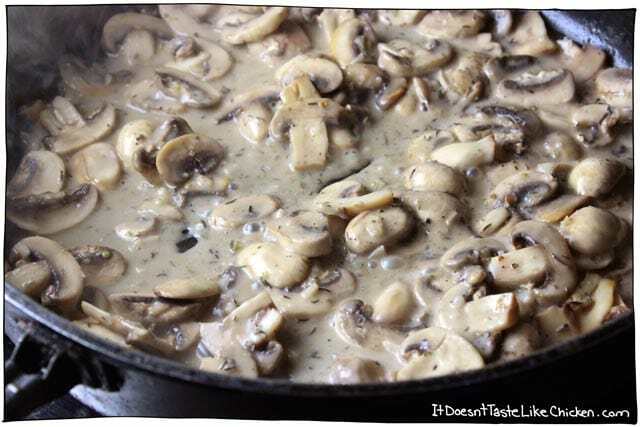 When it’s hot, add the mushrooms and garlic. 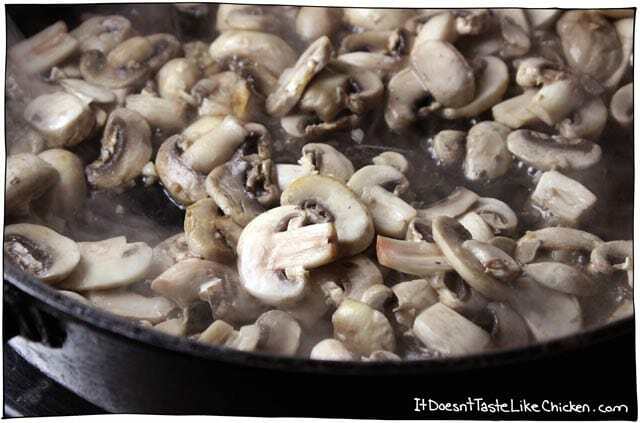 Sauté the mushrooms for about 5 minutes until they soften and begin to release their juices. Stir in the coconut milk mixture, nutritional yeast, thyme, oregano, salt and pepper. Reduce heat to a simmer. Continue to cook for about another 5 minutes, until the sauce thickens a bit. Remove from heat. To Make the Puffs: Preheat the over to 400F (200C). 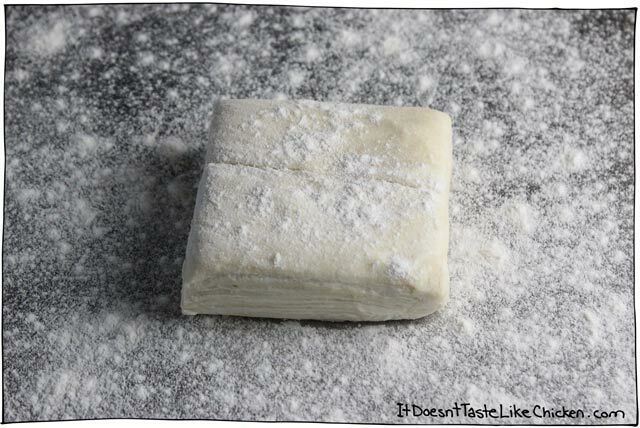 Lightly flour a clean work surface and use a rolling pin to roll out the puff pastry to a rectangle that’s about 9″ x 12″. 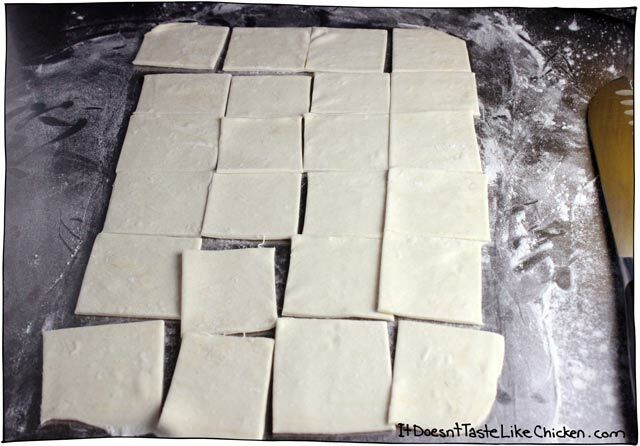 Use a long knife to cut the puff pastry into 24 squares. that’s 3 cuts down the longest direction, and 5 cuts across the shortest direction. 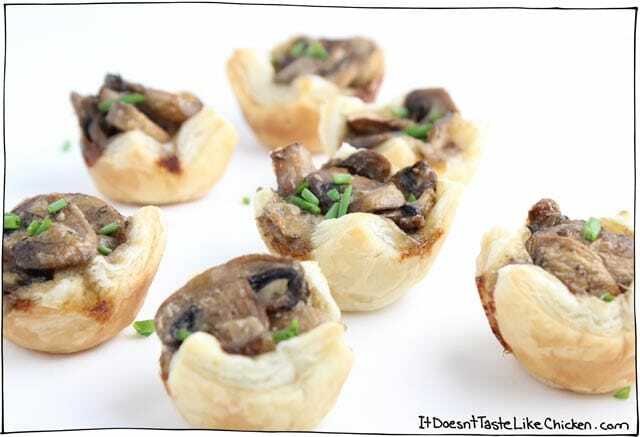 Push each puff pastry square into the mini cupcake pan, so that the edges of the puff pastry, come up the sides forming a little cup to hold the mushroom mixture. If any of your squares are a little too small, just use your rolling pin to roll it out a little more. 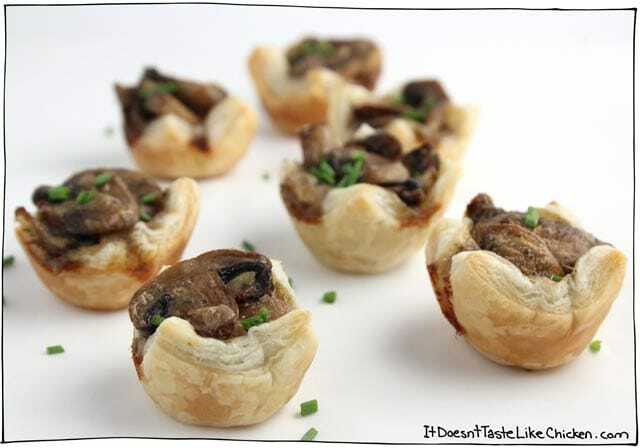 Divide the mushroom mixture evenly among the cups. 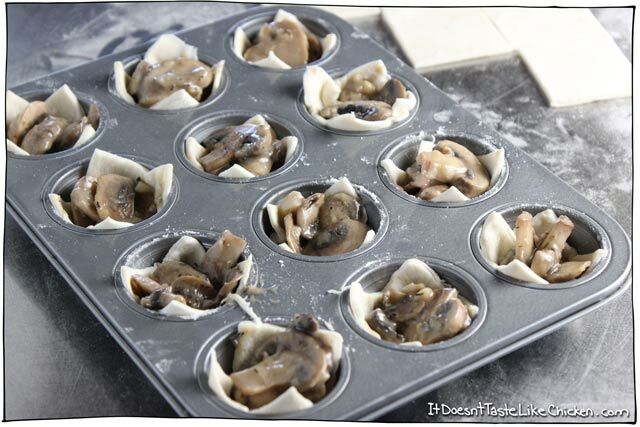 Bake for 25 – 30 minutes, rotating the pan once, until the edges of the puff pastry are golden. To remove them, use a knife to pop them out of the pan. 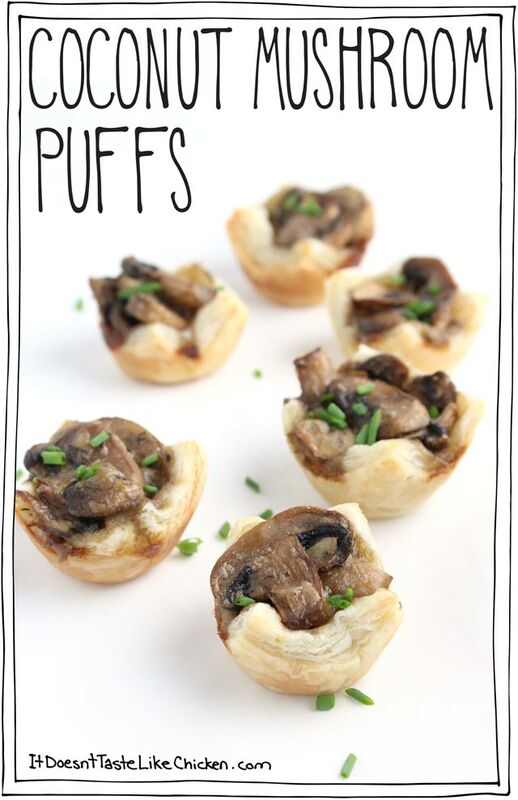 Finely chop chives, cilantro, or parsley, and sprinkle on the mushroom puffs for garnish. This is an excerpt from the article Coconut Mushroom Puffs which originally appeared on http://itdoesnttastelikechicken.com/.